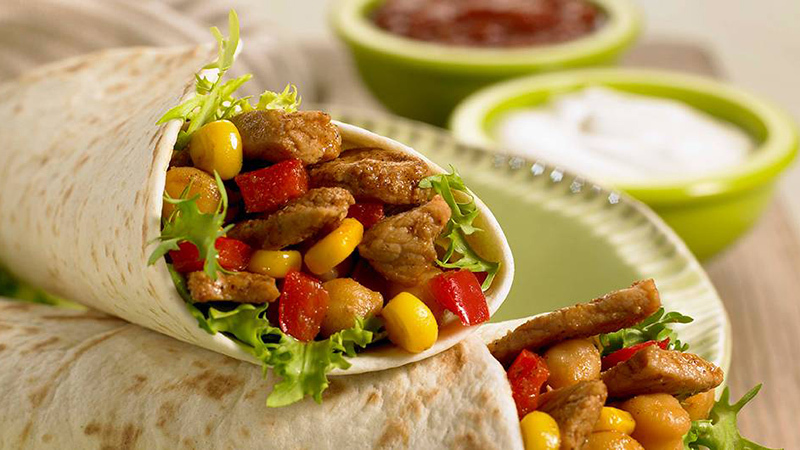 Tender strips of smoky pork, wrapped up with crunchy sweetcorn, chickpeas and fresh peppers in a soft warm tortilla. Heat up the oil in a large frying pan. Throw in the tender pork strips and cook at a medium heat for 3-4 minutes, until browned. Add the crunchy diced pepper and cook for 2 more minutes, then stir in the Old El Paso Smoky BBQ Fajita Seasoning Mix, sweet corn and chickpeas. Stir-fry until everything is coated in the smokey BBQ seasoning mix. 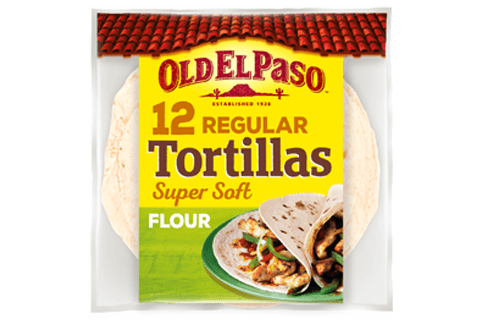 Warm the Super Soft Flour Tortillas, following the instructions on the pack. Grab the tortillas, toss your crispy salad leaves in the middle and spoon over the seasoned pork strips. Top it off with a dollop of Thick 'n' Chunky Salsa and Cool Soured Cream Topping - then roll it up and tuck in with your family and friends!